Your lone workers want a way to check-in that is quick and easy. No fuss. No hassle. During your shift, Ok Alone's lone worker app is quietly working behind the scenes, even your phone isn't in your hand. Want a way to log details of your day such as mileage or addresses? 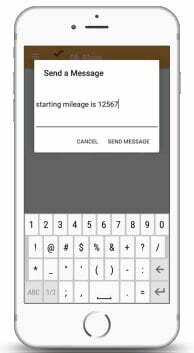 The Ok Alone lone worker app has a handy "Send Message" feature to add details to your account almost instantly! Did you happen to miss a check-in? The lone worker app sounds an alarm to give you the oppurtunity to confirm you are safe, prior to alerting your monitors or live monitoring for help. Running low on battery? No problem! You control whether you want full tracking, or to use the battery saver mode in the app. Three buttons is all you need to use this lone worker app. No manual required. 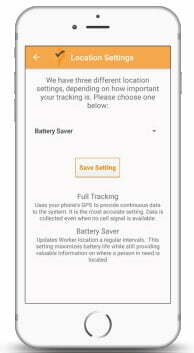 Lone worker app uses the smartphone's gps to quickly find a workers location in case of emergency. 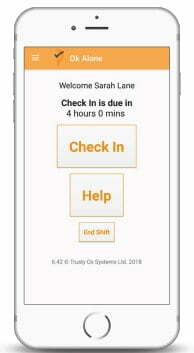 Our top rated smart phone app lets you send for immediate help or shorten your next check-in time. You decide. Manual processes take time and lead to errors. The Ok Alone app automates this boring stuff.